This toy helps you learn how to count, name colors and animals! one section is about colors and it plays games to help your child learn the colors of the rainbow. 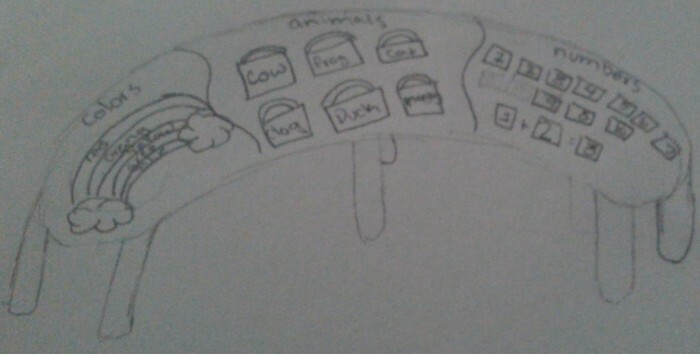 the middle section has flaps that says the name of the animal and when you flip it up it gives the sound. the last section helps you with your numbers!! This toy is safe because it is big enough to not eat and i ts child proof!